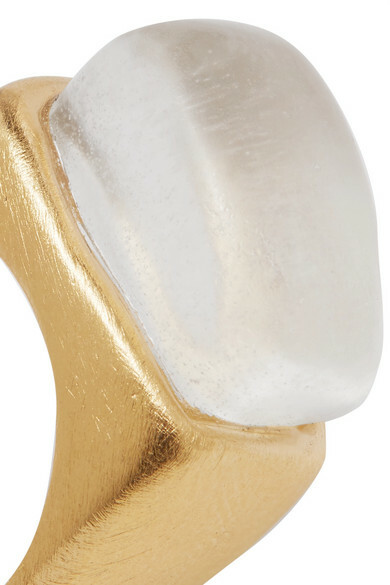 Korean-based 1064 Studio takes its name from the exact temperature at which gold melts. 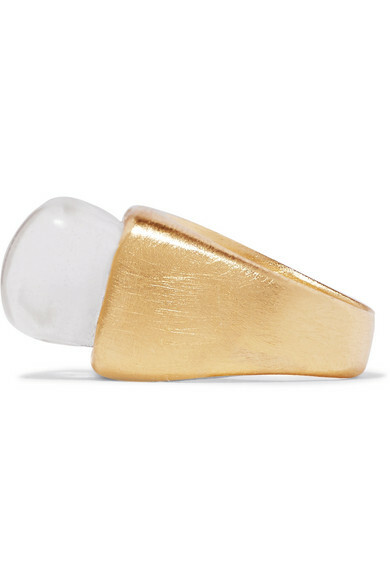 Cast from gold-plated brass, this ring is the brand's organic take on collegiate varsity styles - its thick band has been sanded for a natural finish and is topped with a smoky resin stone. 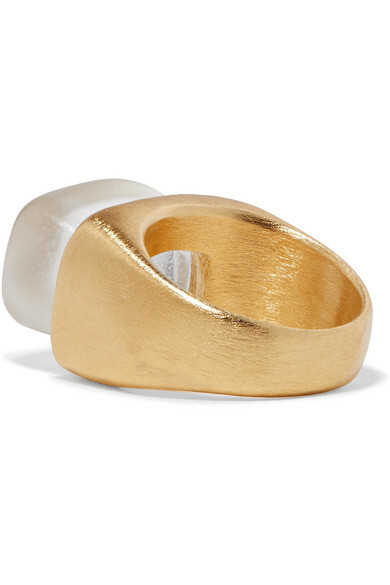 Wear yours on its own or try stacking with other pieces. Shown here with: GANNI Shirt, 1064 Studio Earrings.